Here are some of the brands we've partnered with to bring you meaningful, informative content. 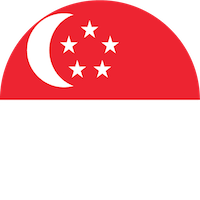 99.co is Singapore's Fastest Growing Property Portal which helps you discover the best way to find houses, condominiums, apartments and HDBs for sales & rent in Singapore. ACI HR Solutions is an award-winning specialist Recruitment, Executive Search & Professional Training firm dedicated to the Travel, Tourism, Hospitality & Lifestyle Industries. BBazaar.my is a leading online marketplace in Singapore that helps consumers compare and apply for a credit card, personal loan, home loan, car loan and insurance. Smarter Me is a live online school that offers classes in critical knowledge and skills for the future to children. It aims to be a global school that prepares kids with the skillset, mindset and heartset, to define and achieve their own success and happiness in the future world. theAsianparent is the largest parenting website in Southeast Asia. It is a free online community targeted at urban parents and parents-to-be who live in Asia or are of Asian heritage. theAsianparent is available in 9 countries and 9 languages: English, Malay, Chinese, Thai, Tagalog, Vietnamese, Hindi, Sinhalese and Bahasa Indonesia. Vertex Ventures works with young and energetic high-growth start-ups who are poised to capitalize on rapidly developing markets in Southeast Asia and India, disruptive technologies with tremendous growth potential, and the broader trends accelerating Asia’s growth and transformation.